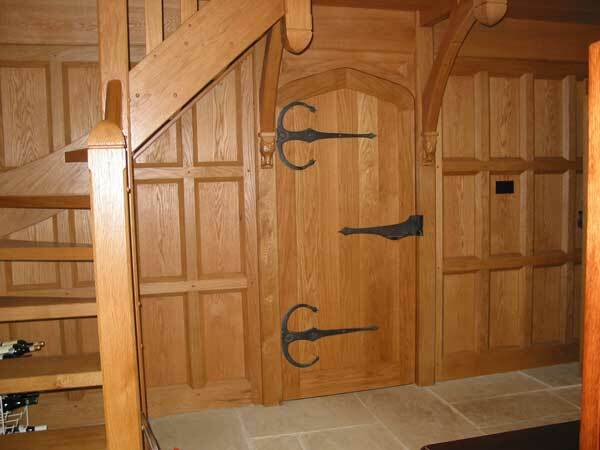 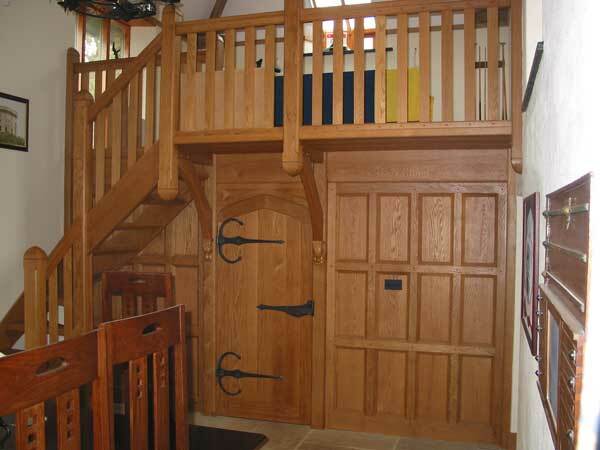 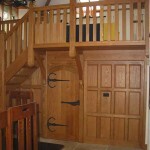 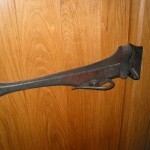 Front door furniture to the gatehouse. 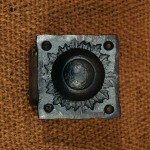 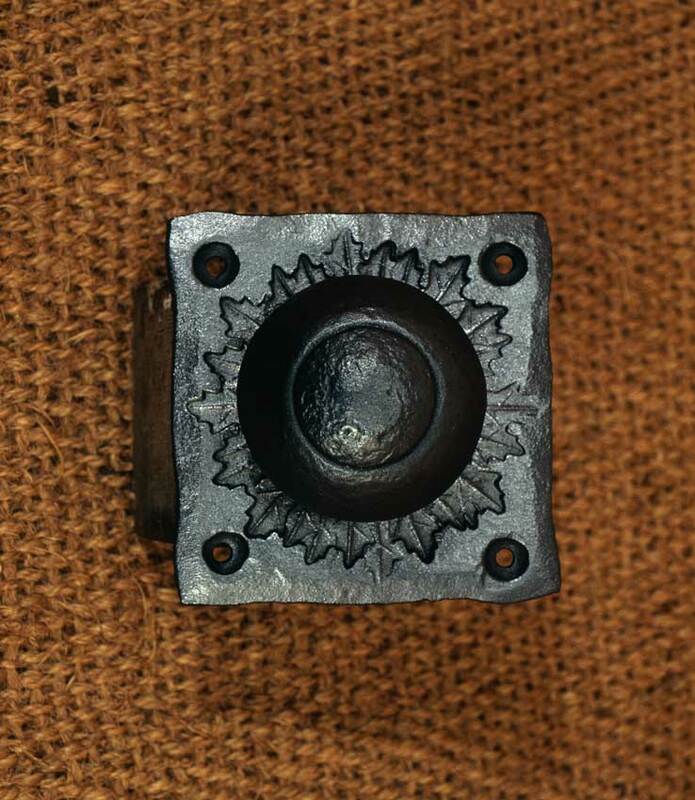 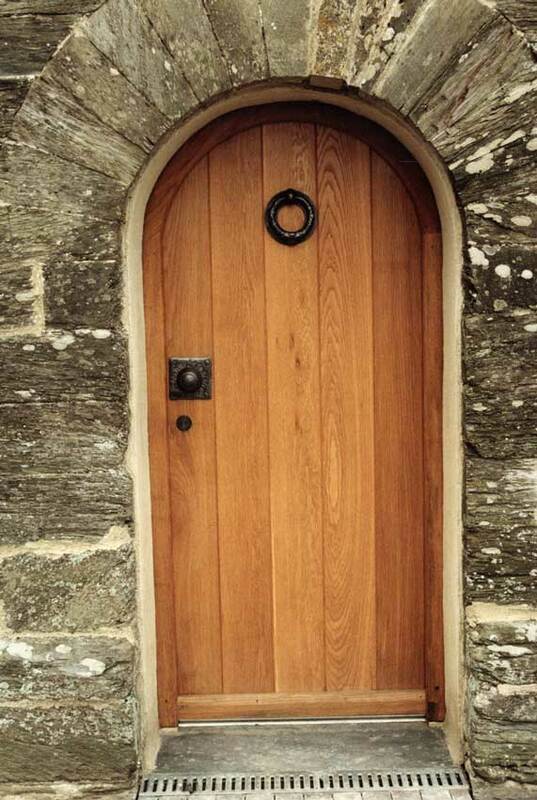 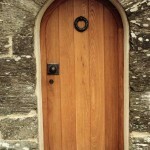 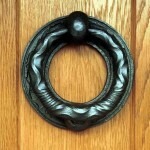 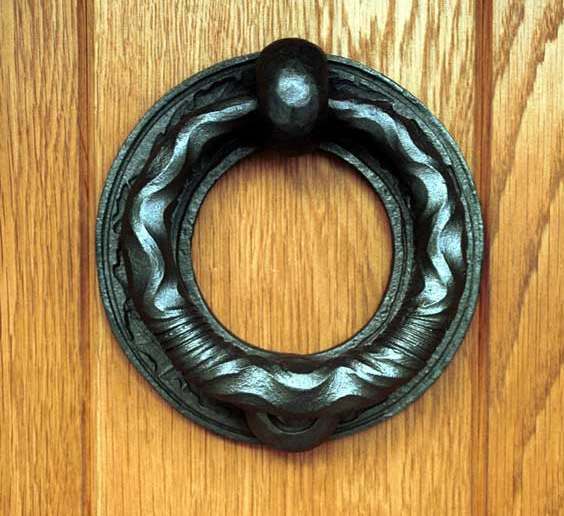 The outside elements, knocker and door knob are decorated with a stamped oak leaf motif. 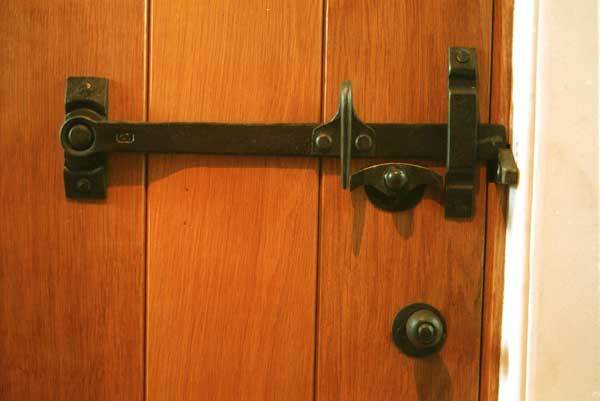 On the inside, to keep in step with the latch set, the forged handle to the deadlock, replaces the knob that had come with the lock. 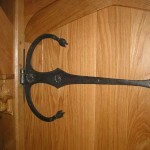 Ironwork for the new dining hall in the main house. 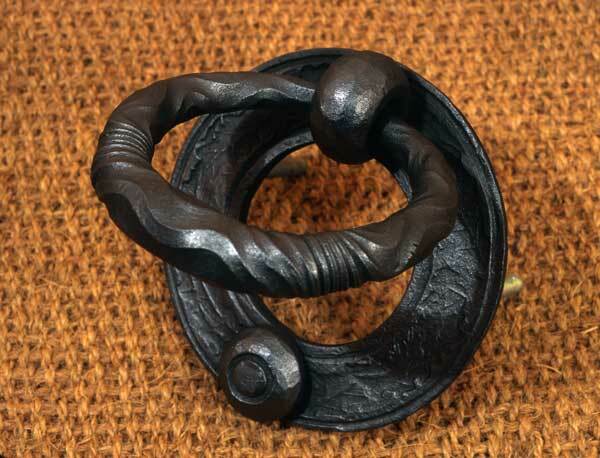 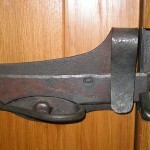 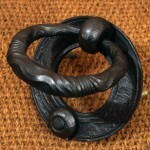 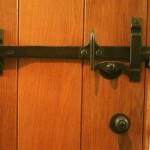 The carvings and the fine joinery of the dining hall provide the note for these hinges and latches. 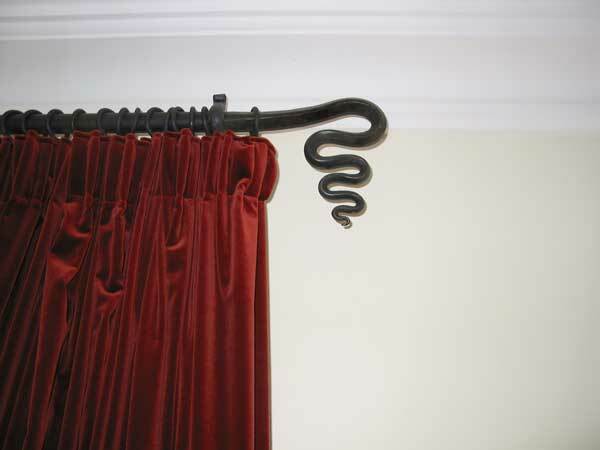 There are various other forged elements, in the same vein, such as the curtain poles here illustrated, as well as a large chandelier and some uplighters which appear elsewhere on the website (in the lighting section). 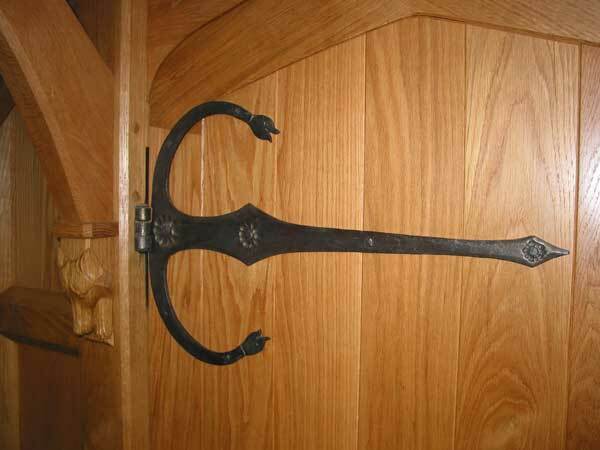 Ironwork for the more contemporary part of the house. 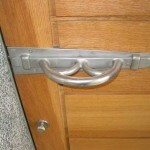 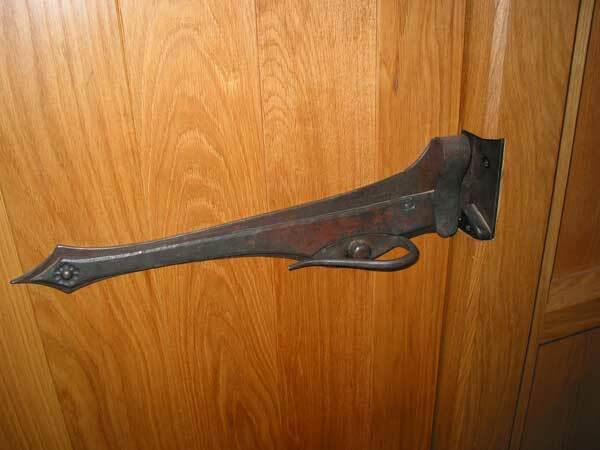 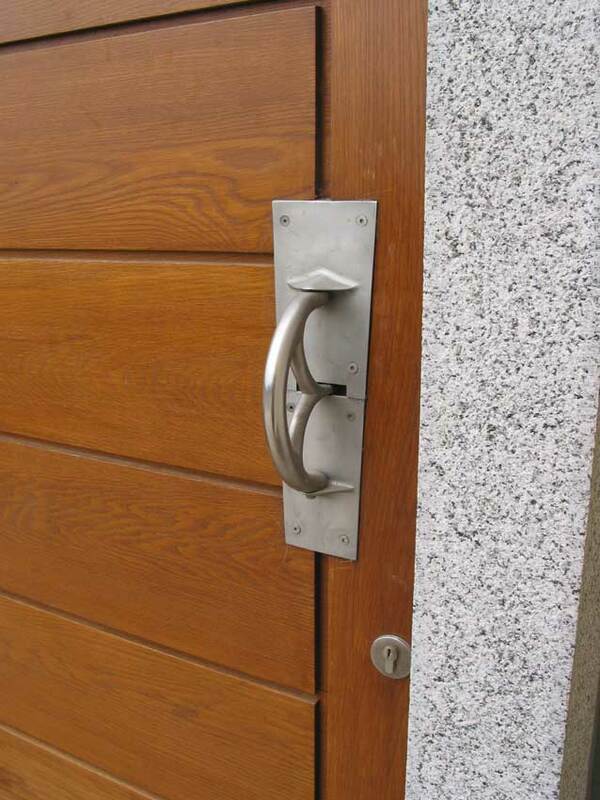 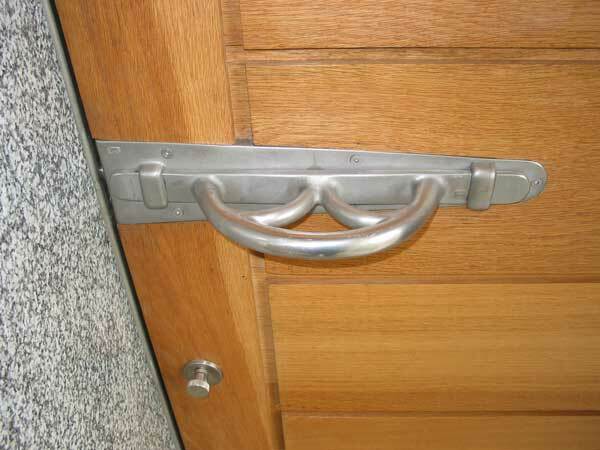 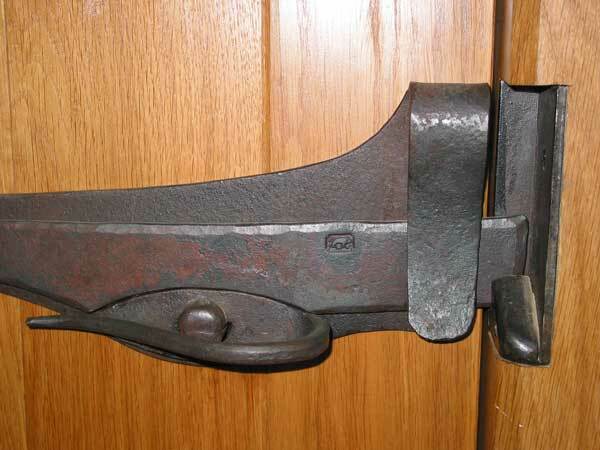 A brushed stainless steel latching arrangement in which, by folding the outer handle away from the jamb, i.e. 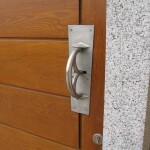 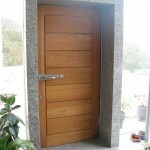 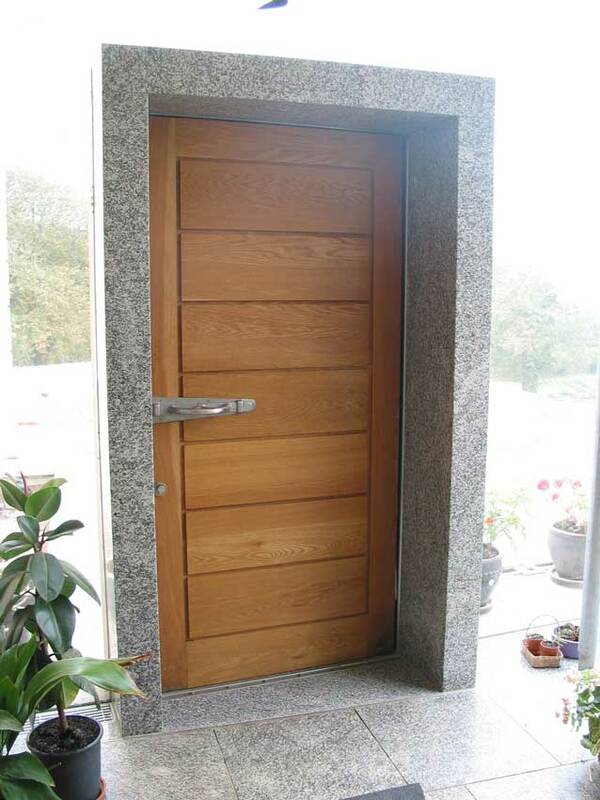 to the left, one opens the inside slide bolt, by means of a hidden mechanism within the timber of the door. 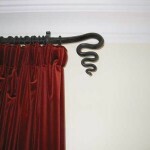 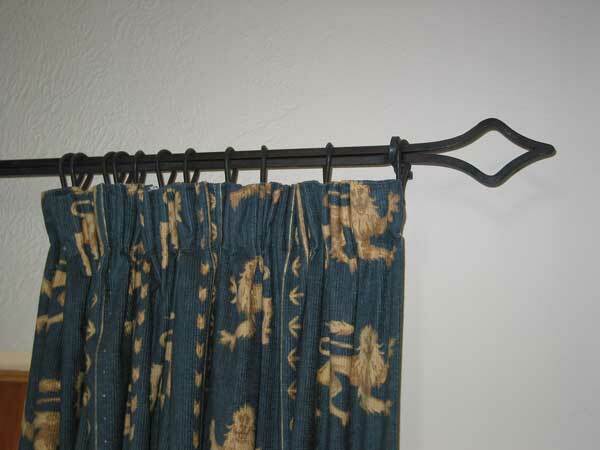 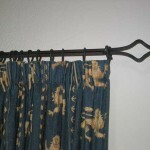 The curtain pole shown is one of a number of poles in this more contemporary area of the house.